Here you will find some information to use for school assignments or just for fun! Click the big buttons for activities and pictures for you to colour. UFOs are unidentified flying objects, but no one really knows what they are. One popular theory is that they are alien spacecraft! What do you think they are? All kinds of people see UFOs. What do UFOs look like? UFOs come in all shapes and sizes. Which planet is sometimes thought to be a UFO? What object are UFOs most commonly thought of as? Are people ever hurt by UFOs? 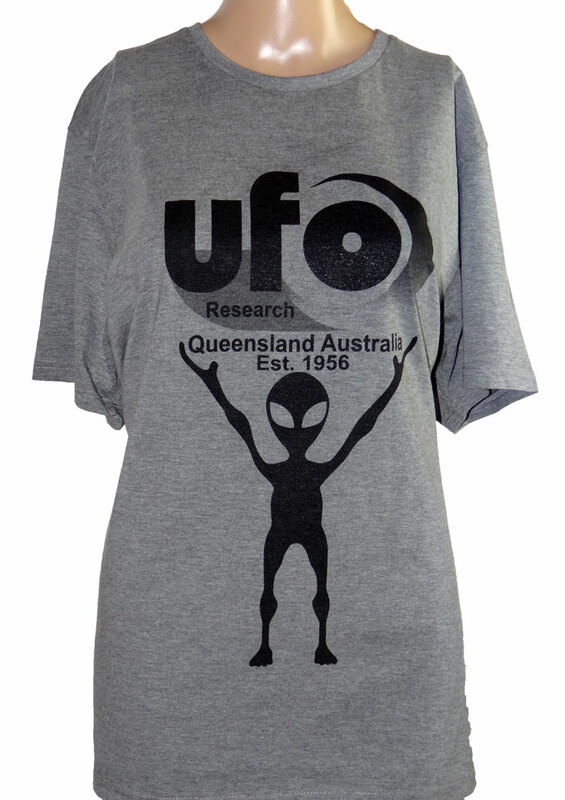 People occasionally report feeling pain or receiving an injury during a UFO encounter or abduction. Physical effects include eye irritation, sunburn, skin cuts, and sickness. After the experience, witnesses may have nightmares and feel anxious, and they may undergo personality changes or changes in their beliefs about important life issues. Where and when are UFOs most often sighted? 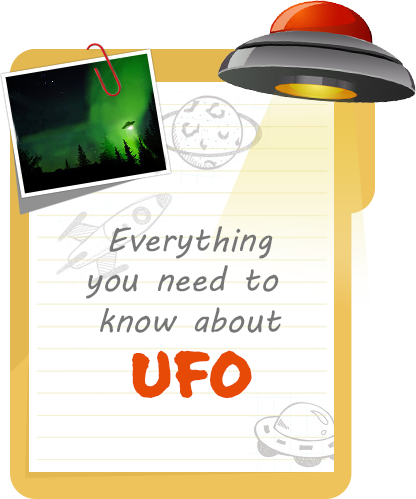 UFO sightings are a worldwide phenomenon, with reports coming from almost every nation. Some countries, however, have more reports than others. In particular, a large number of UFO reports come from the United States, Argentina, Brazil, England, France, Italy, Spain, Belgium, and Russia. By contrast, few reports (considering their large populations) are received from Mexico, Germany, and India. No one is sure why the number of UFO reports varies from country to country, but cultural, religious, and political factors are probably involved. Are computers used to study UFOs? Many UFO reports are recorded on a computer database called UFOCAT. The UFOCAT computer database was started by Dr. David R. Saunders as part of the Condon UFO Project at the University of Colorado during the late 1960s. Is radar used to monitor UFOs? Although there are cases in which UFOs are tracked by radar (Radar-Visual sightings), radar is not considered a practical surveillance technique for ufology. Radar, including the sophisticated systems of the FAA and NORAD, has many shortcomings that limit its value to UFO research. A UFO may be too low for it to be detected or too fast to appear on the radar screen for more than a few sweeps of the antenna. UFOs that hover or move erratically may be filtered out by a radar's sophisticated computer system as ground scatter or noise. Also, planes with transponders return stronger radar signals than targets not so equipped, and radars are often tuned only to transponder signals. It is also possible that UFOs might not return radar signals at all. What should you do when you see a UFO? First, you should call for other people to come and watch the UFO with you. The more witnesses, the more credible the report will be to investigators. Second, you should observe very carefully. If you have a camera, take pictures of the UFO that include known objects in the foreground and background. Remember as many details as possible, especially the time, date, duration, and location of the sighting, the UFO's appearance, shape, apparent size and distance, lights, colors, direction, estimated speed, trajectory, motions, actions, sounds, and how you lost sight of it. Third, after the sighting ends, write down as many details as you can remember. Draw a sketch of the UFO (even if you took photographs) and a map of the area where the sighting occurred. If the UFO left any physical traces or effects, protect the evidence so researchers can investigate and analyze it. 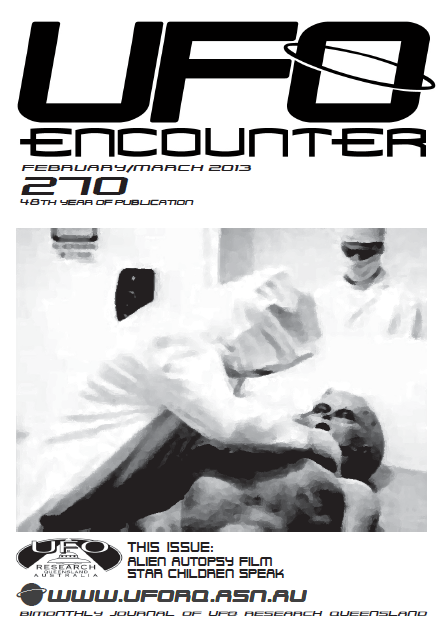 Finally, and most importantly, contact the Center for UFO Studies to file your report. What do I do to become a ufologist? There is no formal training required to become a ufologist. In fact, for most people ufology is not so much a professional career as it is a hobby. That is, most researchers study and work in this field on a voluntary basis and have educated themselves about the subject. If you are serious about studying UFOs, you must read the serious literature about the subject. You must also attend college and study any field you find rewarding; this will help you understand the scientific method and develop your critical thinking skills. It is impossible to predict what discipline, whether in the social or physical sciences, will contribute to a further understanding of the UFO phenomenon, so knowledge and perspective of any field of learning may shed light on the phenomenon. Finally, you should try to meet other persons interested in UFOs and who may already be involved with investigations and study. They may have books you can borrow and expertise you can draw upon.